Interested in a little face-to-face YUOLOGY? From time to time you can catch a YUOLOGY Master Class LIVE! The workshop is a shortened & condensed version of the YUOLOGY framework, designed to jumpstart your confidence and provide a dose of much-needed clarity. Take it before you take YuSchool to get a dose of what the full framework offers, or take it after YuSchool as a refresher. Next Master Class: Coming Soon! Entrepreneurs who are S-T-U-C-K, and need to inject their day-to-day with some boss-like attitude. Working professionals who feel like their cubicle has become a cage and need the courage to shake things up. Anyone looking for the love their life — ‘cause you gotta love yourself before anyone else will. Mamas heading back into the workforce. Mamas who want to stay at home and not feel like “just” a mom. Recent grads who are fired up and passionate, but have no idea what to do with their lives — where to work, what field to enter, what positions to pursue. Companies who understand that the more confident and clear their employees are, the more successful their business will be. Success starts the moment you choose to be you. A step-by-step framework to break down your down your doubts and limitations and reinvent your life. Practical tools to short circuit self-sabotage and your limiting beliefs. Creative exercises to show you the HUGE potential within — and then make it real. Action! You won’t leave without actually applying what you learn and living differently after the workshop. Transformation! The workshop is designed to take you from where you are, to where you want to be. The clarity and confidence you need to finally design your dream life. While taking YuSchool, I was inspired to write a business plan in 30 days for my now-thriving fashion retail business. I’m finally aligned with my passion, and I love what I do every day! My confidence skyrocketed since taking YuSchool. I feel like a whole new woman has emerged out of me, and I can finally say that I’m proud of who I am. Vanja, Credit Analyst at Herschel Supply Co.
Tonia is not only a beautiful person inside and out, she also possesses a positive, vibrant aura that’s contagious when you’re around her, and you can’t help but feel inspired. Join us live to jumpstart the life you’ve been craving. Next Master Class Live: Coming soon! 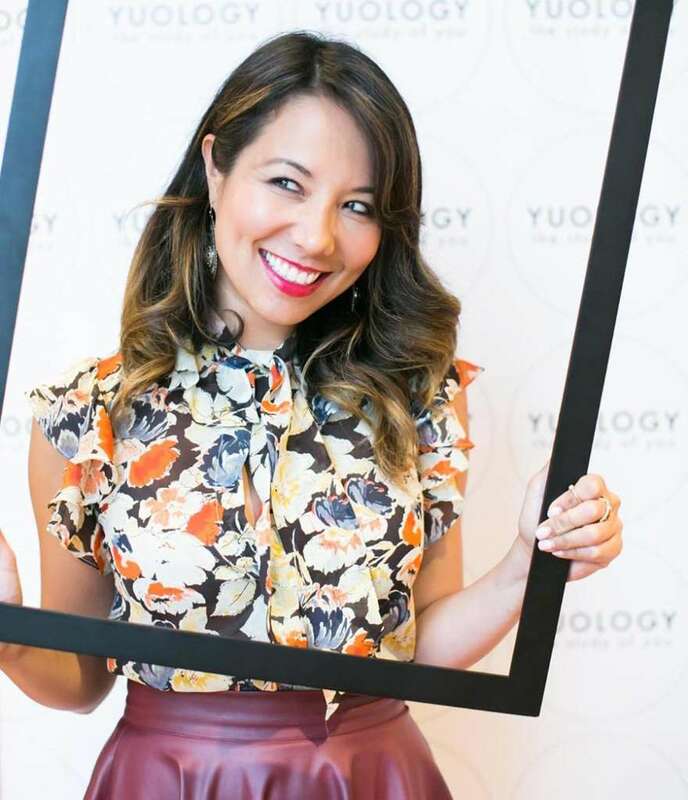 Interested in bringing a YUOLOGY Master Class to your town? Get in touch!